As a company dedicated to making it easy for anyone to create professional videos, you know we’re huge fans of using video everywhere. And we always love working with partners that are excited about video too. We recently teamed up with LinkedIn to create six customizable video templates, designed specifically with LinkedIn best practices in mind. Why? There’s a huge opportunity for businesses to drive results with video on the professional social network. And, in this article, we’ll share three reasons that the team at LinkedIn recommends that businesses use video. Candace Kim, LinkedIn Senior Product Marketing Manager, tells us, "First and foremost, it’s our audience. We have the world’s largest professional audience." LinkedIn’s audience consists of more than 610 million professionals worldwide. It includes opinion leaders, decision-makers, senior-level influencers, C-level executives, and more. And they’re visiting LinkedIn with an aspirational mindset. They want to learn; they want to consume professional content. And, Kim says, "video allows our marketers to tell rich stories about their product and brand to these engaged audiences." In fact, video is consumers medium of choice today. 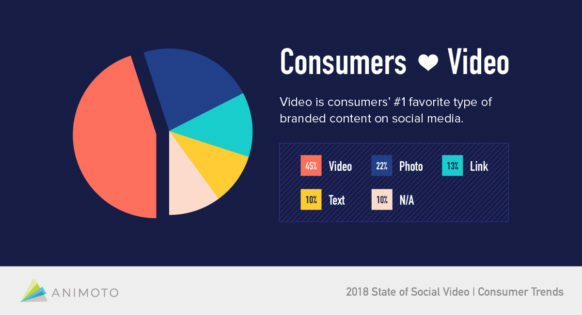 In our 2018 State of Social Video report, consumers named it as their favorite type of content to see from brands on social media. The second reason that LinkedIn video makes sense for businesses is the return on investment (ROI). Kim says, "Native video ads can drive higher purchase consideration from business decision-makers, compared to other formats, depending on messaging, targeting, and objective." And that’s not all. According to LinkedIn data, video is the fastest growing type of content and the most likely to drive conversations on the platform. Why does video perform so well? It’s eye-catching in the feed, standing out from static content. And because native video is relatively new on LinkedIn, now is the time to get started. You have a unique opportunity to stand out from the crowd—and your competition—and deliver information to business decision-makers in the format that resonates with them most. Video! 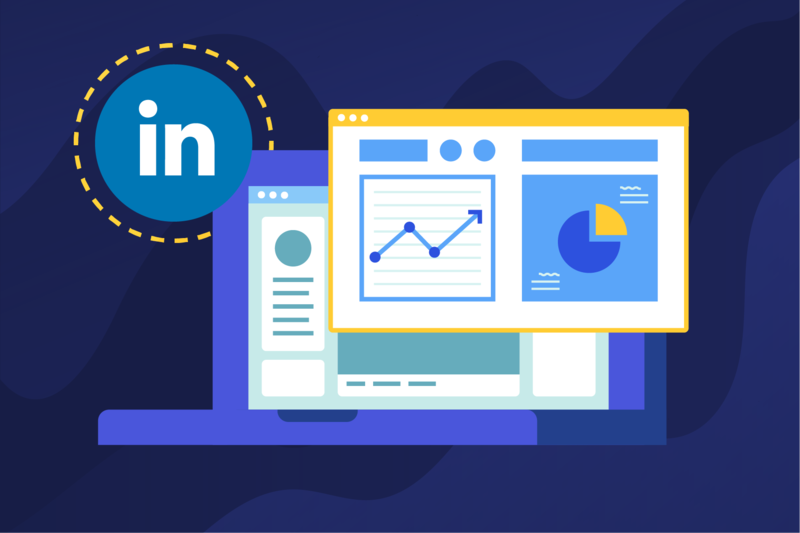 With LinkedIn’s Objective-Based campaign experience, you can easily create a video campaign optimized for your goals, including website visits and lead generation. You can target the right audience according to a number of criteria, including location, job experience, interests, company, education, and more. LinkedIn’s already qualified professional audience, paired with this targeting, means that your videos are being seen my quality viewers. Learn more in our article on getting started with LinkedIn video ads. And check out our Webinar Event Promo video template, which can be customized to drive RSVPs, leads, or get customers to a landing page. Ready to get started with video on LinkedIn? Check out our list of LinkedIn business video ideas and find out how to get started making videos for LinkedIn with Animoto.